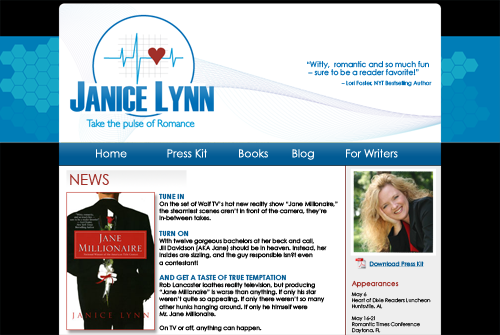 Romance author Janice Lynn’s web site utilizes WordPress as a content management system with included blog and a custom theme that coordinates with her Medical Romance book covers. 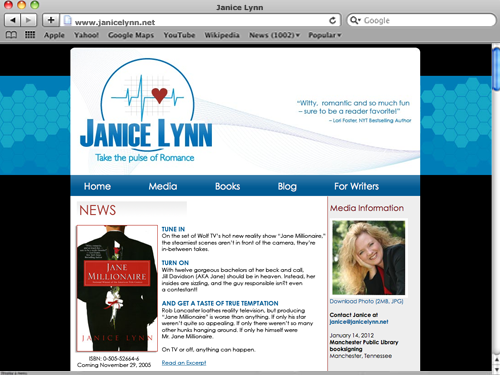 Janice’s site uses WordPress 2.2.1 and utilizes the now built-in Sidebar Widgets. Her custom theme takes advantage of several plug-ins including: WP-ShortStat, TinyMCE Rich Text Editor and the Akismet comment spam blocker.